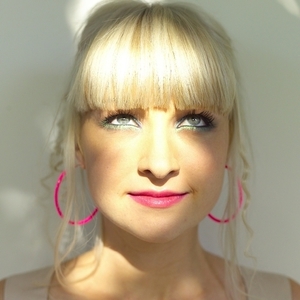 Kate Miller-Heidke (born 16 November 1981) is a singer-songwriter from Brisbane, Queensland. Although trained as an opera singer, she has followed a career in quirky pop music. In June 2004, she independently released her first seven-track EP, "Telegram". It was followed in April 2006 by "Circular Breathing" EP. Kate released her debut album Little Eve on 15 June 2007 (produced by Magoo). The album entered the charts at #11 and received four ARIA award nominations. In June 2004, she independently released her first seven-track EP, "Telegram". It was followed in April 2006 by "Circular Breathing" EP. Kate released her debut album Little Eve on 15 June 2007 (produced by Magoo). The album entered the charts at #11 and received four ARIA award nominations. Miller-Heidke's second album, "Curiouser", will be released in the USA on March 16th 2010 and includes the bonus songs "Words" and "RUFKM". The album was recorded in Los Angeles, USA, with Miller-Heidke working with co-producers Keir Nuttall and Mickey Petralia, who has also produced albums for Beck and Flight of the Conchords. Kate will be touring the US throughout the spring. Highlights include Joe's Pub in NY on March 15th, SXSW, Coachella and Ben Folds dates in April. Miller-Heidke has been nominated for four aria awards in 2009 including best female, best pop release, best video for the last day on earth and single of the year for the same song.